Enterprises from the cluster of high-precision weapons and ammunition of Ukroboronprom state concern in the framework of fulfillment of the state defense order in 2018 supplied the army with more than 2,500 units of precision weapons, the press service of the state concern has said. The state concern said one of the key priorities of the cluster in 2018 was to provide the Armed Forces with high-precision anti-tank armament: this year the army has been delivered several hundred 152 mm Stugna-P anti-tank missile systems with a five km range, which are not inferior to foreign analogues, 107 mm Corsar anti-tank missile systems with a 2.5 km range and 130 mm Barrier anti-tank missile systems with a range of five km, as well as thousands of missiles, developed and produced by Luch Design Bureau, the leading enterprise of the cluster. 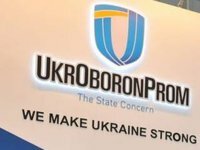 At the same time, Ukroboronprom noted one of the main priorities of work of the cluster's enterprises and, first of all, Luch plant, in 2018 was also preparation for the serial production of new high-precision weapon prototypes. First of all, this is the project of a new Vilkha multiple-launch rocket system with a 300 mm guided missile with a range of up to 120 km, as well as the Neptune anti-ship cruise missile with a range of up to 300 km. According to the developer, the delivery of serial Vilkha multiple-launch rocket systems, adopted by the Armed Forces of Ukraine in October, is scheduled for mid-2019.